When you think of the Persian nation of Iran, what comes to mind? If the only information you have about the country is what is portrayed in the western media, then most likely you'll have visions of a radical Islamic leader, women dressed in black from head-to-toe and enriched uranium! Unfortunately, nothing positive about this incredible country ever makes the news. 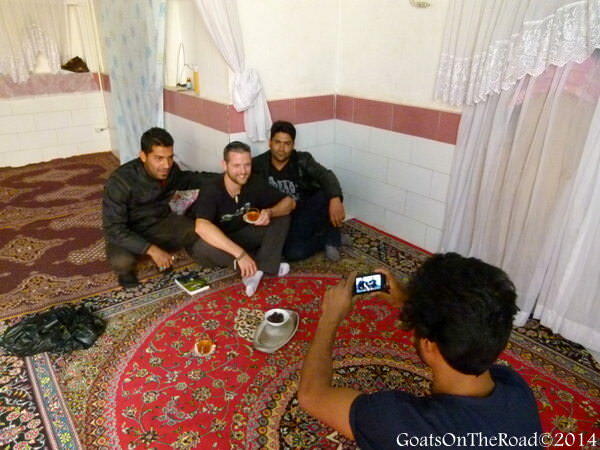 Iran is a very diverse land with extremely hospitable people. One day you could be sitting on a beautiful sandy beach in the Persian Gulf, while the next you could be skiing down snowy slopes in the north! 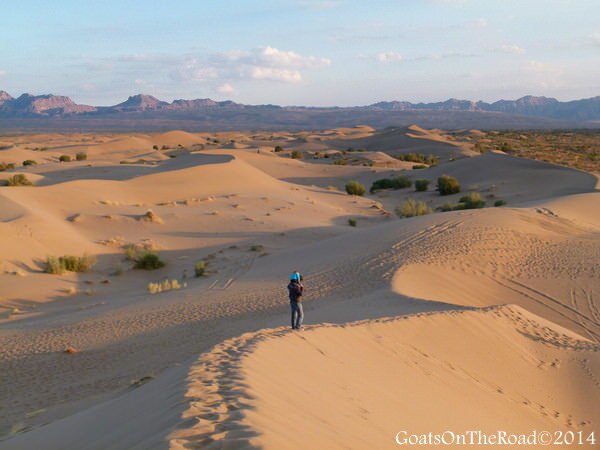 From mountains to sea to deserts, the topography in Iran is stunning. 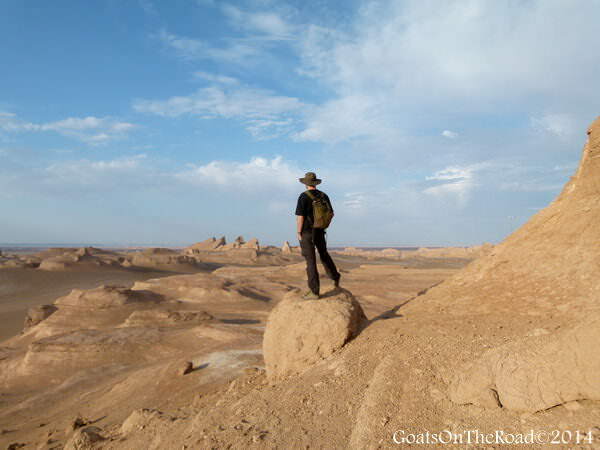 Not only is the scenery beautiful, but the people will also be a huge highlight of your travels to Iran. It's common to be invited into a stranger's home for tea, dinner or even to spend the night. People will go out of their way to help you with directions and will be genuinely interested in learning about your life in a western country, and what you think about their country. Many people know very little about Iran, but this is changing as more and more travelers are spreading the word about interesting and unique land. 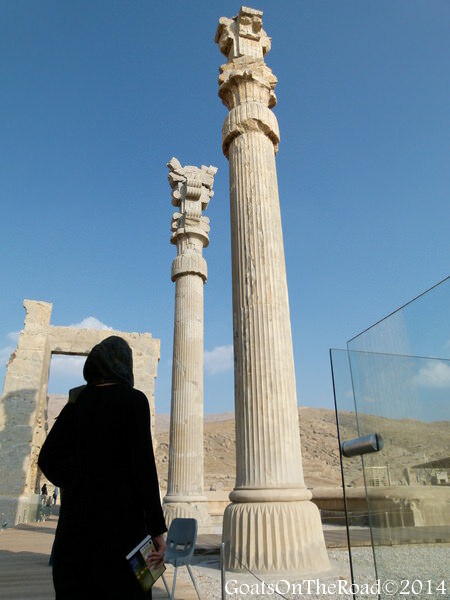 Photo: Gazing in Awe at the columns at the ancient site of Persepolis. 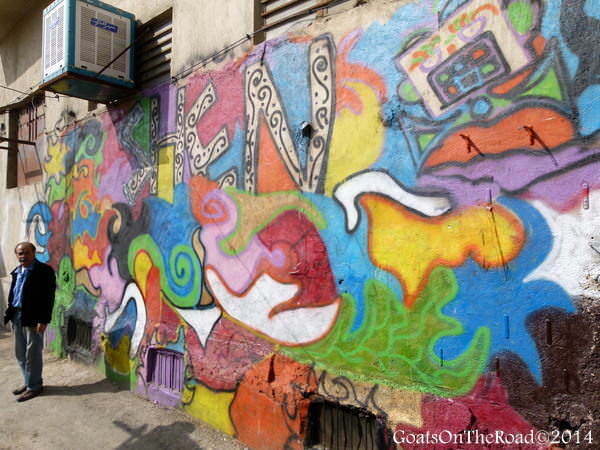 Photo: Some funky, colourful street art in Shiraz. 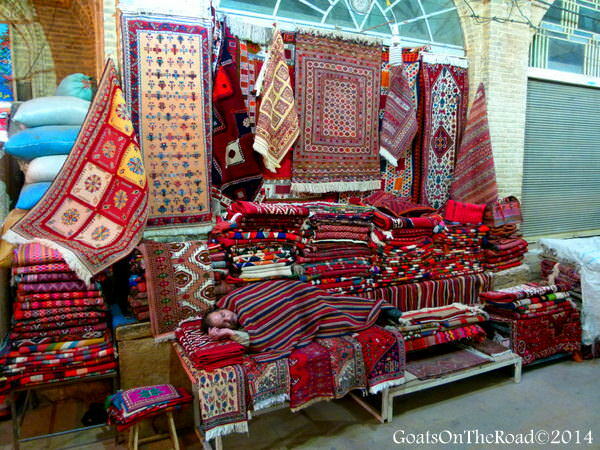 Photo: Carpet salesman takes a quick cat-nap at the market in Shiraz. 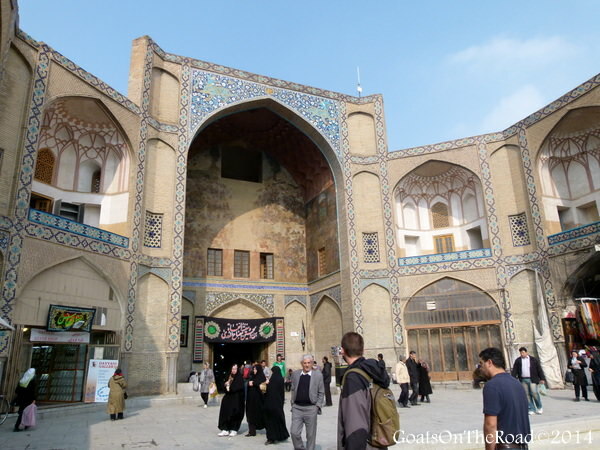 Photo: One of the many entrances to the Bazaar of Esfahan. 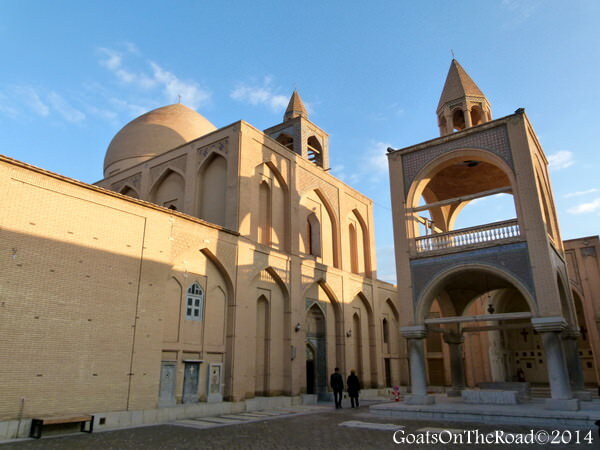 Photo: The Vank Cathedral in the Armenian Quarter, Esfahan. 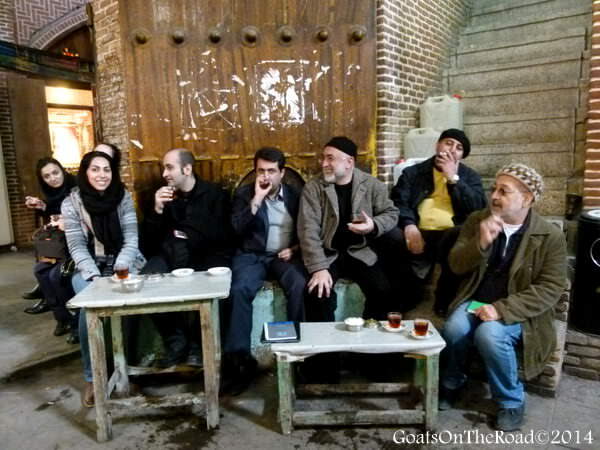 Photo: Friendly locals enjoying tea at the bazaar in Tabriz. 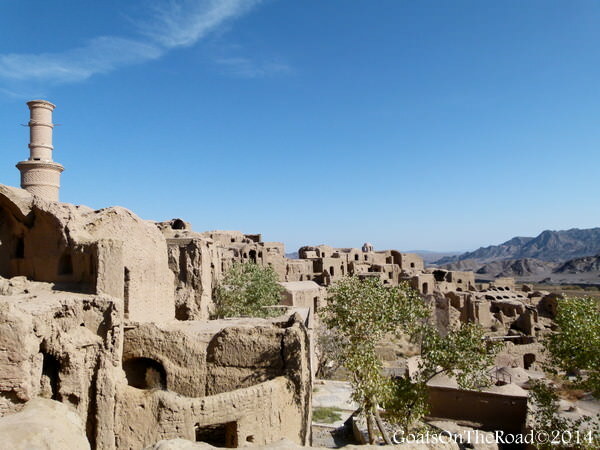 Photo: The Troglodyte Village of Kandovan. 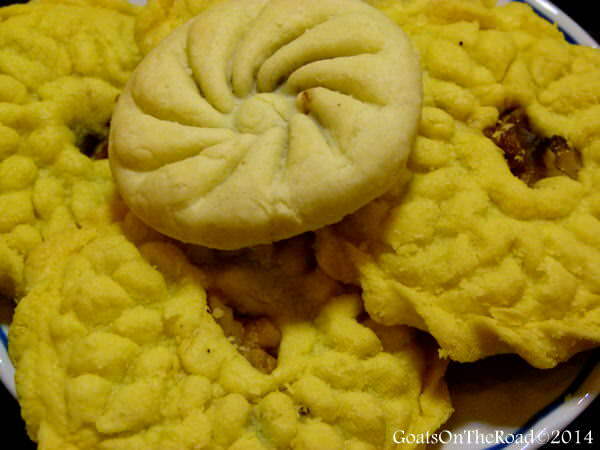 Photo: Delicious date cookies found in Kerman. Photo: Gazing out at the towering Kaluts (sandcastle-like formations). 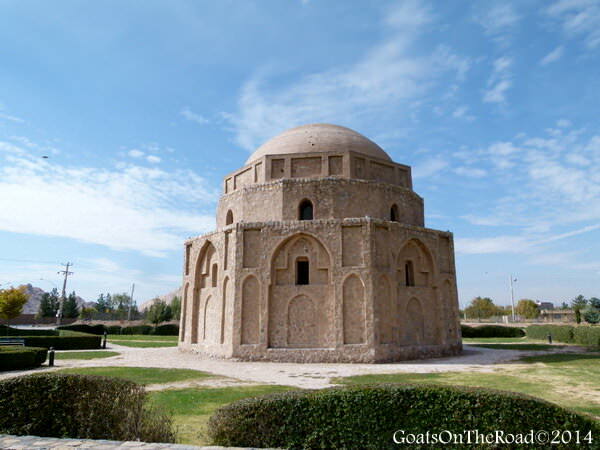 Photo: The Gonbade Jabalie, a Zoroastrian stone structure in Kerman. 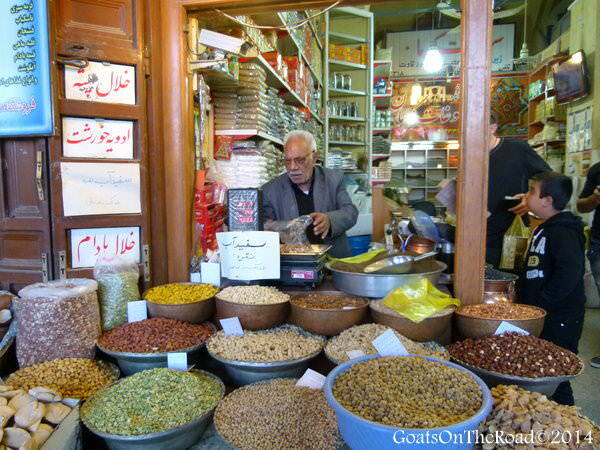 Photo: A vendor weighs out his goods at the Kerman Bazaar. Photo: The mud village of Karnaq. 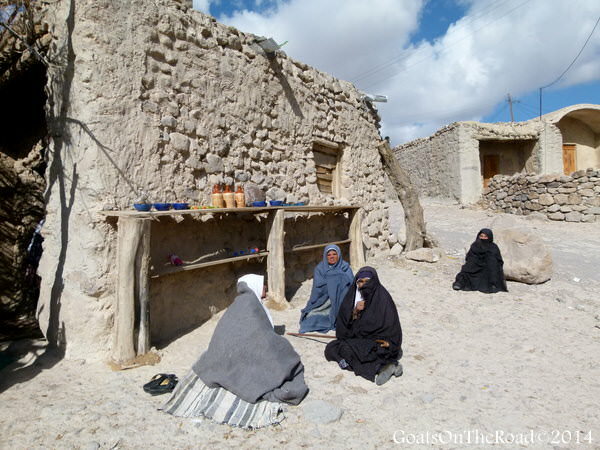 Photo: Enjoying tea and snacks with friendly locals. Photo: The beautiful landscapes around the desert village of Garmeh. 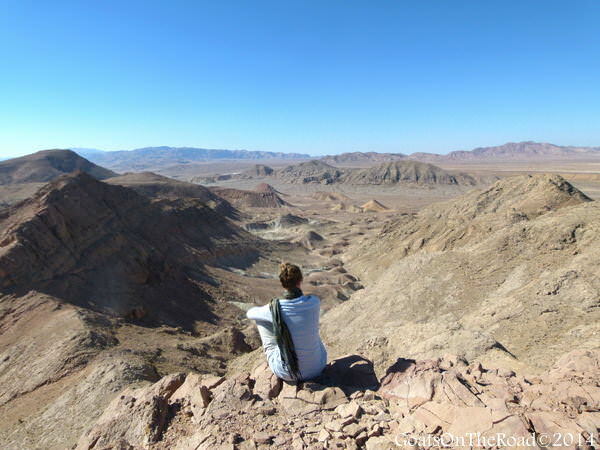 Photo: The desert surrounding Garmeh. 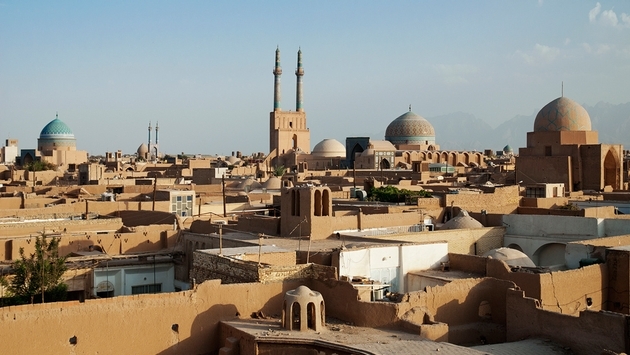 For more information, check out our Ultimate Guide to Backpacking Iran! Is Iran somewhere you would like to travel to? Why? Why not? Share with us below!